Celebration Station partners with South Carolina Palmetto Project and Julie Gathers and Carrie Whipper of Heart & Soul. 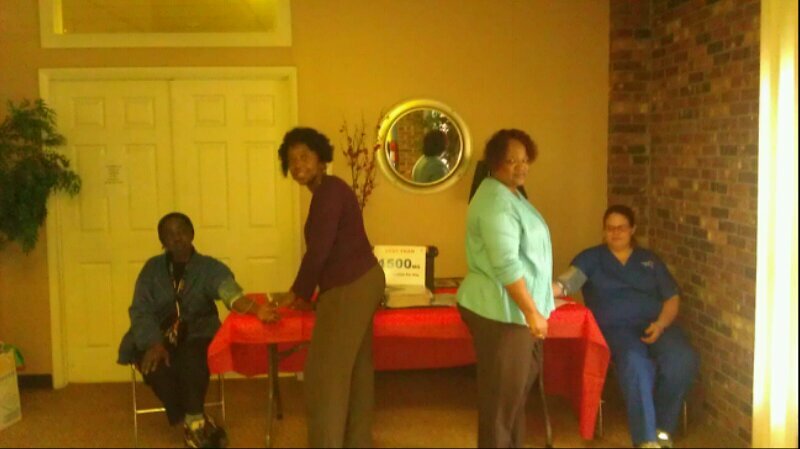 Heart and Soul is a very successful program that provides effective prevention, health education, and self-management of risk factors involving heart attacks, strokes, and kidney failure in the state of South Carolina. These health risks are being significantly reduced in the African American communities through this project. Palmetto Project screens and educates individual in the community of Chicora-Cherokee and at our other food outreaches at Joseph Floyd Manor and Moncks Corner. These screenings have helped to identify individuals who who are at risk and have helped many to stabilize their condition through doctors appointments, medication, education, and diet changes. It has helped even more in the prevention of serious cardiovascular health issues.